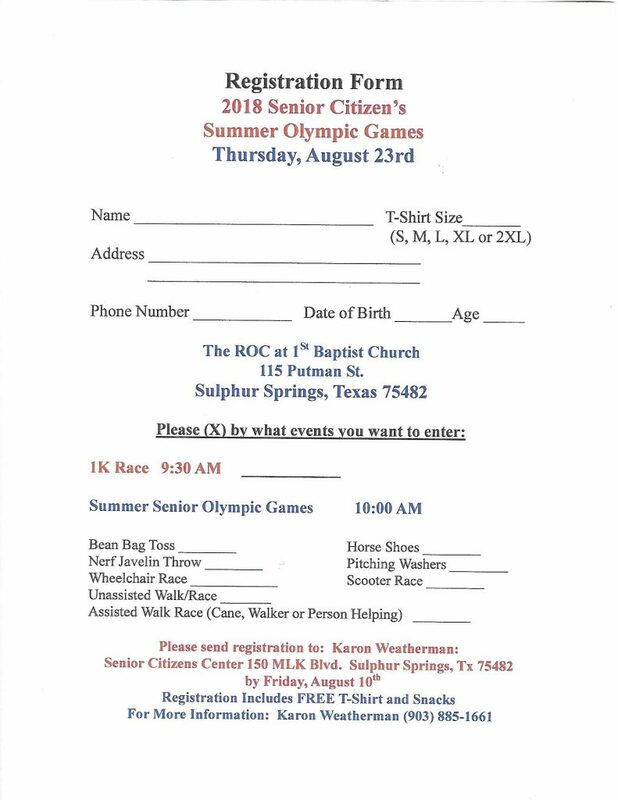 I am now taking Registrations for the 2018 Senior Summer Olympics. This is always a fun event. that you all can do.. Except maybe the 1K.. It is a running race. 50-59, 60-69, 70-79, 80 and Up and also I have a Walker, Wheelchair and Cane category to make everything fair. I have attached the Flyer and Registration Forms. 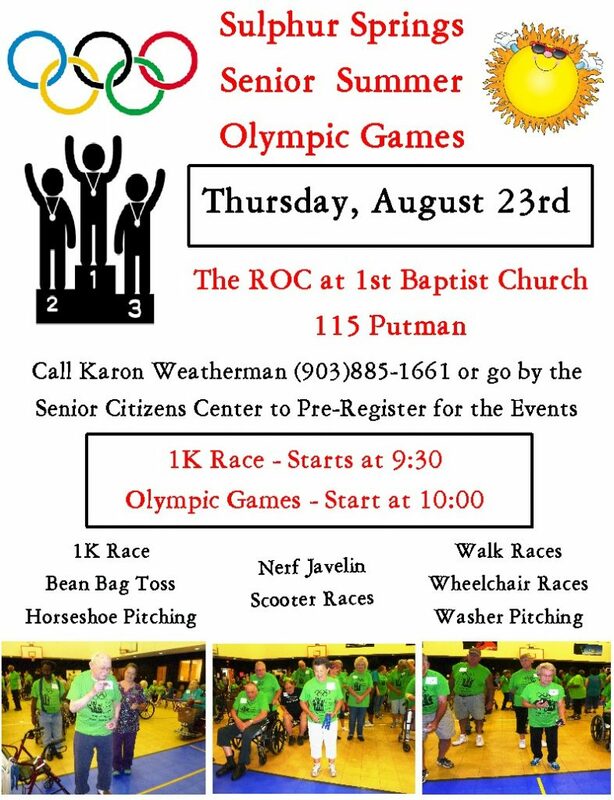 The first 200 People that sign up will get a FREE Olympic T-shirt to wear on the day of the Olympics. Thank you to all of my Sponsors for helping me make this event possible. You can save the form and and print it or come in and I will give you a form to fill out. The shirts will be Tropical Blue this year.